Axel Straschnoy‘s film La Figure de la Terre (2012) will be screened at EMAP 2016, which will take place in Seoul from May 24 through the 29. EMAP, Ewha Media Art Presentation, is since 2001 an open-air sound and moving image festival of high international standard in a central area of Seoul. Occurring each May, at the height of the Korean spring season, EMAP uses the beautiful and varied sceneries of the campus area of Ewha Womans University to stage an event equally directed to the large audience of students as well as a general public of thousands. This year, when Ewha Womans University celebrates its 130 year anniversary, it has been important to create an event of unprecedented scale and quality. The history, scale, and content of EMAP has established it as an international event, carving a seal in the art world next in line to the Gwangju and Pusan Biennials, and to the Seoul Media Art Biennale. At EMAP some of the finest Korean artists from the field of sound and moving image meet a rich selection of established as well as young international artists. During an intense festival week, the Ewha Womans University Campus is turned into crossroad for artistic exchange where the enthusiasm of audience responses is forged with acclaim from art professionals. S.O.S. Save Our Souls – is a large scale project to respond to the 130 year anniversary of Ewha Womans University. It is an international festival of contemporary media art, involving a high-end international program with a generous selection of artists from the global art scene. 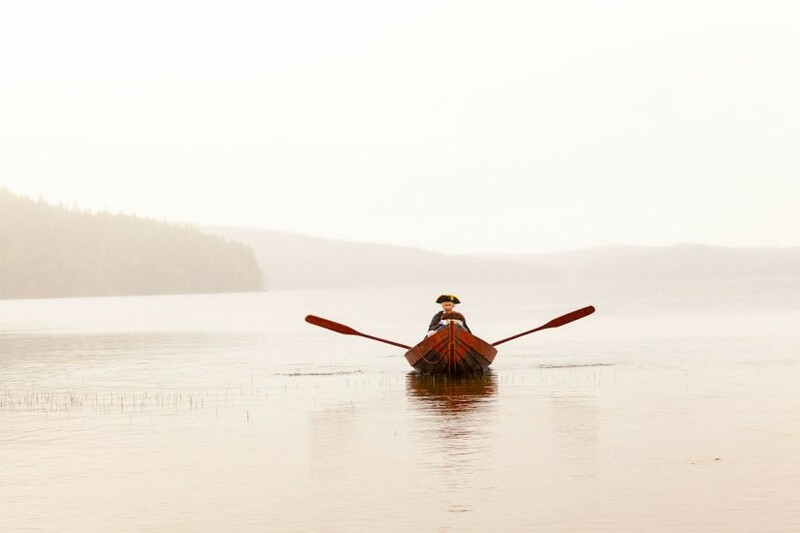 It has this time a particular focus on South Korea and Finland, involving apart from its international program also an exchange of works by students from the Fine Arts College of Ewha Womans University and the Finnish Academy of Fine art/Aalto University of Art and Design, both in Helsinki.S.O.S. Save Our Souls – is conceptually a response to a number of urgencies of our time, where aspects of human safety, solidarity, human rights, freedoms of expression, sexuality, gender, religion – even not having a religion – are seriously challenged. S.O.S. Save Our Souls – reflects on the possibility for art and for artists to be agents of change and resistance. S.O.S. Save Our Souls – addresses acts and activities of resistance without making art a mere instrument of power. S.O.S. Save Our Souls – disrupts the convergence of opinions and sentiments on fear and distrust, and maps out a terrain of possibilities. S.O.S. Save Our Souls – offers reconciliation and invitation instead of rejection and conflict. Axel Straschnoy’s film La Figure de la Terre featured at CPR FILM FESTIVAL, curated by Tainá Azeredo. MAS CERCA DEL BORDE (CLOSER TO THE BORDER) curated by Tainá Azeredo. The experience of traveling, the moving across the boundaries, the innumerable invisible lines that define what is on that or the other side. Más Cerca del Borde (Closer to the Border) takes the shape of a film cycle that touches marginal issues, and It’s here, at this border where structures, languages, conducts, politics, histories, dreams and traumas are defined. The sequence of videos translates the impossibility of staying in both sides of the line at the same time. The complexity of this action of passing from one side to the other is hard to identify just with the eyes, which cannot escape from the fact that they are looking from the inside out. There is no center; the line is invisible to whom is trying to see it, but extremely real for those who are in one or the other side. 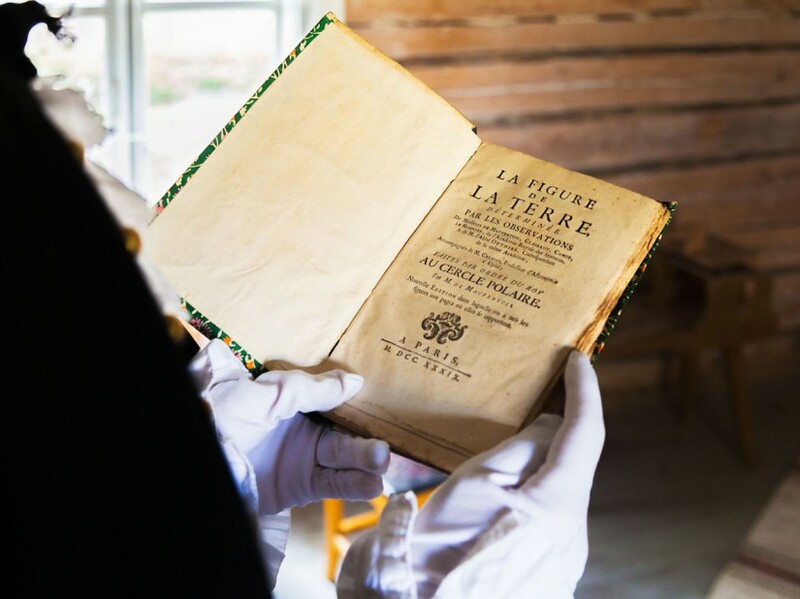 The film by the Argentinian artist Axel Straschnoy, La Figure de la Terre, is based on the homonymous book wrote by the French scientist Pierre Louis Moreau de Maupertuis, that describes the scientific expedition conducted by him in 1736 through the River Tornio Valley to prove the real shape of the Earth. On the film, 19th century and contemporary elements are placed in parallel, bringing different aspects that cross themselves geographically and temporally. A selection of six films address the limits by which structures, language, values, policies, stories, desires and traumas are defined. 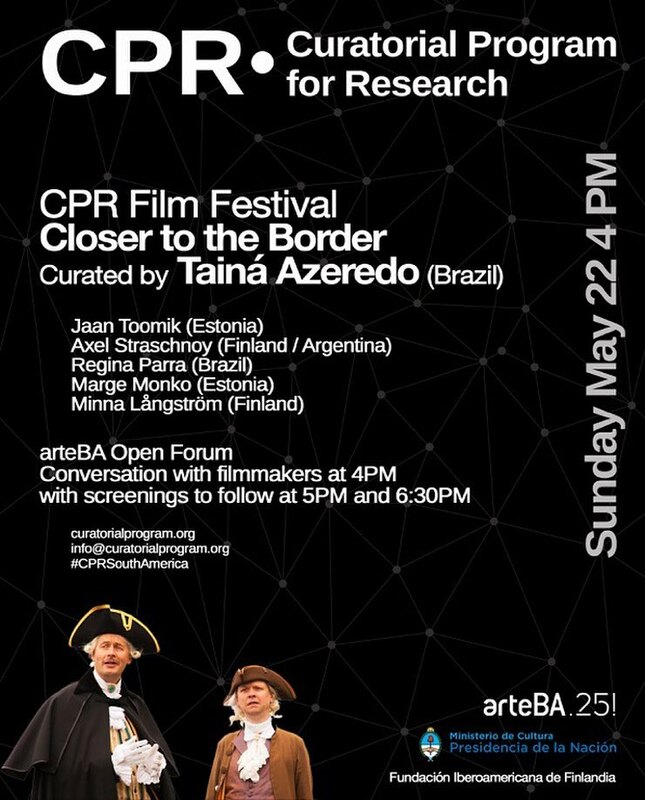 Azeredo, a participant in CPR 2015: Eastern and Northern Europe, was invited to curate this Film Festival for the 25th anniversary edition of arteBA. Artists: Jaan Toomik (Estonia); Axel Straschnoy (Finland / Argentina); Regina Parra (Brazil); Marge Monko (Estonia); Minna Långström (Finland). Moderated by Jorgelina Dacil Infer, Director of Development. Presented by Carmen Ferreyra, CPR Director. With the support of Fundación Iberoamericana de Finlandia. CPR Film Festival is a series of film and video exhibitions around the world, by curators who have participated of the programs. Featuring works by artists living in cities visited during our Core Programs, CPR Film Festival is one of the platforms that CPR provides for the professional development of our curators in residence. For more information about Axel Straschnoy please click here. For more information about CPR Festival please click here.